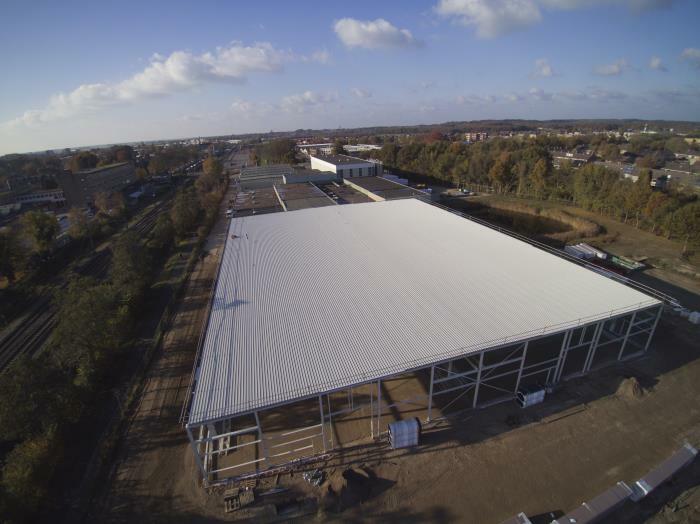 In the spring of 2016 we started the building of a new factory hall. The fast growth of Kornelis made this new construction necessary. Behind the current building rises a new hall of 50 by 70 meters. Most of the groundwork was completed in the past months and in the meantime the roof has been established. December will be used for completing the concrete floor. In 2017 there will be a start with the internal constructions, with at end the an internal movement. The new building will meet all the latest requirements in terms of ergonomics and hygiene. Where possible the most sustainable solutions will be chosen, including solar panels on the roof.